Tessa Traeger studied at the Guildford School of Photography and Fine Art. She has tackled many different areas of work, including portraits, landscape and gardens, but food has been the central subject of her long career. For sixteen years Traeger created the food pages for British Vogue magazine. She was also a pioneer in digital image manipulation using Paintbox. She has worked with all the major advertising agencies in London and Europe and her clients include Jasper Conran, Harvey Nichols, Jordan’s and Sainsbury’s. Traeger has also exhibited regularly in Paris, London and New York, and her work is represented in the National Portrait Gallery and the V&A in London, the Bibliothèque National in Paris and the Metropolitan Museum of Art in New York. She works from her Devon home and from Rossetti Studios in Chelsea, where she has been based most of her adult life. Picodon Cheese, 1996. Image from Tessa Traeger’s Voices of the Vivarais, 2010, which is a book, and was an exhibition at the Purdy Hicks Gallery. This long-running project documents the food producers of the Vivarais region in southeast France. 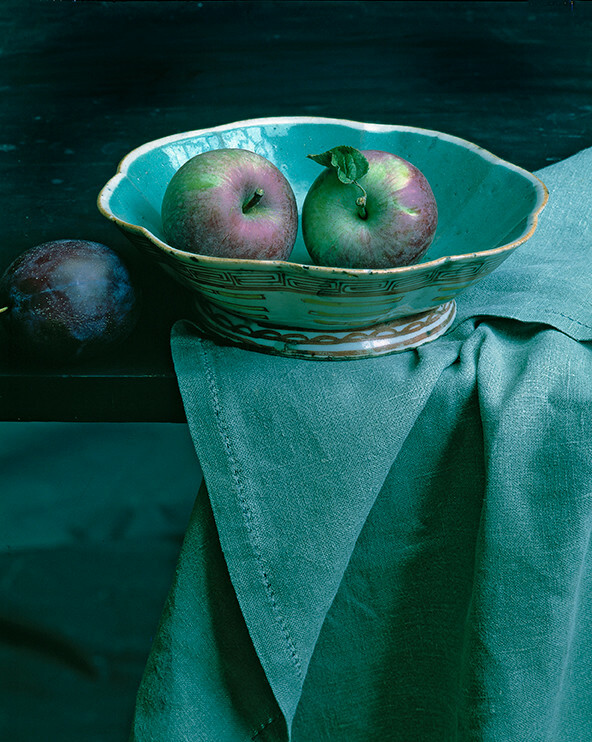 Top: Spartan Apples, published in Vogue, 1983. Richard Krzyzak: How did your interest in photography begin? Tessa Traeger: I first encountered photography when I was thirteen. My great-uncles, who lived in Tunbridge Wells, had a chemist’s shop and they taught me to use their plate camera and showed me how to develop films. This early enthusiasm led me to the photography course at Guildford, which was then run by Ifor Thomas and his wife Joy, both leaders in postwar photography education. TT: First I spent a year as an assistant to John Hedgecoe at The Queen (later Queen) magazine and then, thanks to a small inheritance at 21, I bought some cameras and set up as a freelancer. RK: What started your fascination for photographing food? TT: When I was 25 I met and married the fashion photographer Ronald Traeger. Ronald also did some of the food pages for Elle magazine and I assisted him. Later on, after Ronald’s untimely death in 1968, I decided to pursue this interest in food photography. 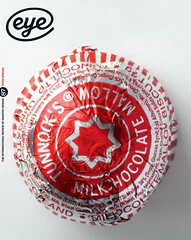 I became interested in French regional food and began to look for British equivalents in places such as Yorkshire, Norfolk and Devon, eventually producing a portfolio of pictures in the style of Elle. I showed this to Barney Wan, the art editor of Vogue, who liked the pictures and paired me with food writer Arabella Boxer. RK: How did you and Arabella Boxer work together? TT: For the first year Arabella used to come to my Chelsea studio. The studio has beautiful daylight, so I made that light the starting point of all my still-life work, such as in Spartan Apples. We never, on principle, used fake food. When Arabella and I started in 1975 there was an interest in the Pre-Raphaelites and Victoriana. I had inherited some of the original Pears soap posters from my great-uncles, so I’d tell stories by filling the upper part of the [portrait format] image with material like these posters. 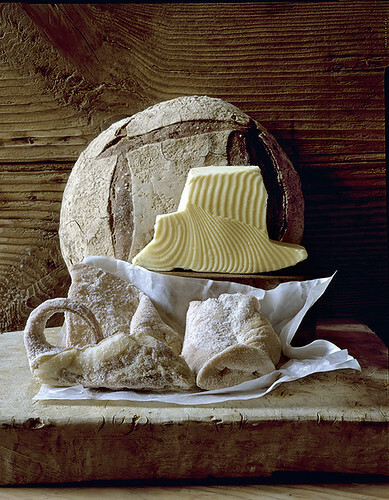 Butter Still Life, with pig’s ear, snout and tail preserved in salt, 1989. Commissioned for the Telegraph magazine by Richard Krzyzak. RK: Some of your food photography could be described as ‘painting’ with food or ingredients. How did that approach come about? TT: Sometimes I’ve used painted backgrounds to reinforce the food ideas. It was a reference to the beginnings of photography, where painted backdrops were commonly employed and complex images constructed from added photographic elements. For instance in 1980 I incorporated Frederick Cotman’s One Of The Family into a Magimix ad. I believe I invented the idea of the food collage. My first, Beans, Peas, Etc., was done in 1975. Advertisers were sceptical about using food collages at that time, and I was out on a limb when I started. But now I’ve made hundreds of collages, if not thousands! Some years later I was commissioned to photograph French food for the Telegraph. I chose to work in Paris, as it was still possible to find items such as butter that had been hand-cut by wire from a large block, and the salted and preserved pig’s snout and tail seen in Butter Still Life. RK: How did your work develop? TT: Initially at Vogue I was left to my own devices. But in the early 1980s Patrick Kinmonth joined as arts editor and he suggested we should do more minimal pictures. So the complexities of the elaborately constructed image receded and the pictures became more abstract. RK: When did you first use computers and digital manipulation? TT: In the late 1980s the Photographers’ Gallery invited a number of artists to re-touch their pictures on the Quantel Paintbox. I chose to transform my poster for French salad, Homage to Monet which I had made as a 12ft by 15ft collage in my studio. We were able to manipulate our images digitally, and the pictures were exhibited in the 1989 show ‘Machine Dreams’ at the Photographers’ Gallery. It was my first exposure to computer technology and I’ve been using it ever since. RK: How did you come to work on the Voices of the Vivarais project? TT: After working for Vogue for many years I became a passionate follower of the organic food movement. My interests led me to photograph some of the traditional food producers of the Vivarais, a mountainous area of south-east France. 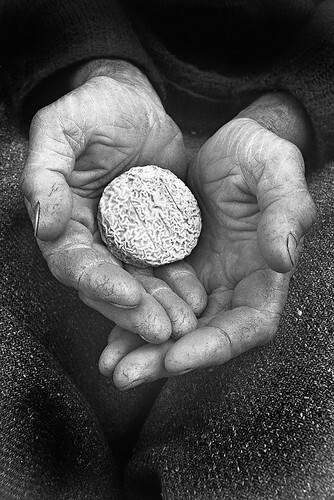 When I started the project in 1993, I wanted to photograph people holding food in their hands. Pictures such as Picodon Cheese and Pig Killing have been exhibited many times and finally, in 2010, Voices of the Vivarais became both a book and an exhibition at the Purdy Hicks Gallery in London’s Bankside. TT: Many, including the book I Am Almost Always Hungry with Lora Zarubin, wine and food editor of American House and Garden. Pears is an image from this. Currently I am working on two new books. The first is on Devon food and English cuisine with chef Nick Wood. The second is 30 Ingredients for 30 Years of Clarke’s Restaurant with restaurant-owner Sally Clarke. Broad Beans features in this. In 2013 I had another exhibition at Purdy Hicks called ‘Chemistry of Light’, based on the photography collection of my great-uncles in Tunbridge Wells. So life has come full circle and more! 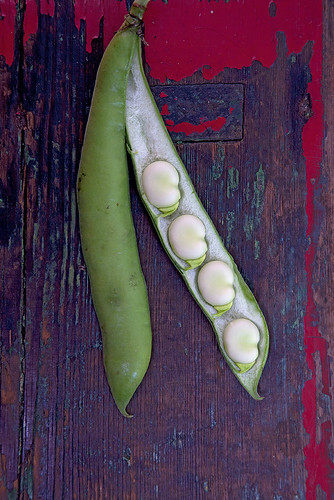 Broad Beans, a digital photograph from Sally Clarke’s 30 Ingredients for 30 Years of Clarke’s Restaurant, to be published in 2014.